​As countries move bit-by-bit towards a cashless society, governments will have to start replacing notes and coins with digital currencies. 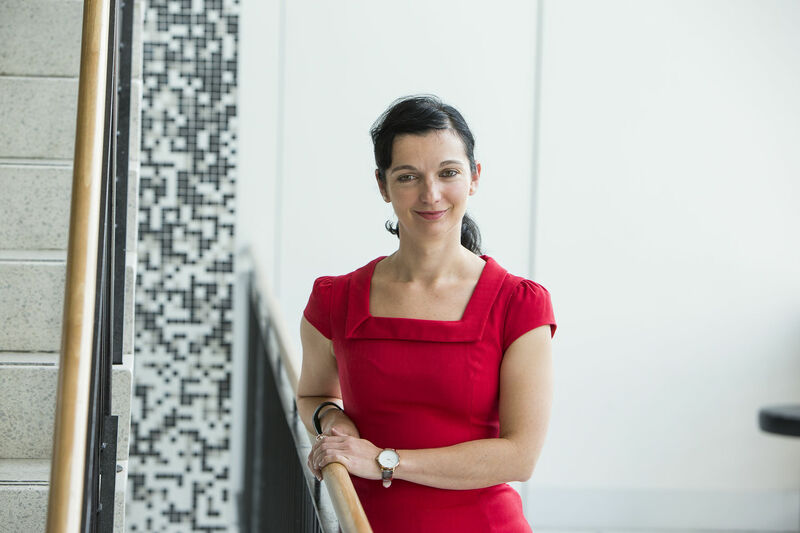 These are questions addressed by Elvira Sojli, an associate professor in the school of banking and finance at UNSW Business School, in her recent working paper, Central Bank Issued Digital Cash. "The question whether central banks should issue digital currency is a legitimate and an important one, in developing and determining the future of fiat money and of the financial system," writes Sojli, in the paper she co-authored with Andreas Furche of the Capital Markets Cooperative Research Centre. "The primary drivers for this investigation should be considerations on the efficiency of the future financial system, the ability for central banks to observe, measure and control the circulation of their currencies, and the consideration whether the issuance of money, and seigniorage, are to be key parts of the business model of a central bank in the future." In a speech in December last year, Reserve Bank of Australia governor Philip Lowe said the RBA was monitoring the evolution of digital currencies and payment systems, before adding "we have no immediate plans to issue an electronic form of Australian dollar banknotes, but we are continuing to look at the pros and cons". "The case for adding an electronic form of Australian banknotes to the payments mix has not been established, even if it were technologically feasible. My working hypothesis here is that the NPP will serve this purpose." Sojli notes that a definition of digital money is not straightforward. What is clear, is that it is different from electronic money, which is the money people see sitting in their bank accounts when they look at their bank balances, for instance. "It's always traceable and it's always linked back to the central bank," says Sojli. One option would be to make the money anonymous on just one side of the transaction, says Sojli. The identity of the payer could be hidden but the identity of the party being paid would be visible to authorities, such as the tax office, with obvious implications for tax collection. "Or you could make it completely un-anonymous, so the issuer can see everything," she says. Such an option would allow governments to better police organised crime, corruption and money laundering and would also allow economic policy-makers to better follow the path of money through the economy, following investment flows and seeing where and how money is being spent, says Sojli. One of the key arguments for blockchain is its security, but Sojli says this could also be achieved with digital certificates or tokens, a much older technology, which is also tamper-proof. "Digital certificates are the most similar technology to issuing physical cash, and they can be secure," the authors write. Other nations are being more cautious. The Bank of Canada, the People's Bank of China and the Monetary Authority of Singapore (MAS) have run separate proof-of-concept tests to conduct inter-bank payments facilitated by DLT. The MAS' Project Ubin is a digital cash-on-ledger project to evaluate the implications of having a tokenised form of the Singapore dollar on a distributed ledger, and its potential benefits to Singapore's financial ecosystem. "If we were to issue electronic banknotes, it is possible that in times of banking system stress, people might seek to exchange their deposits in commercial banks for these banknotes, which are a claim on the central bank," Lowe noted in his speech last year. "It is likely that the process of switching from commercial bank deposits to digital banknotes would be easier than switching to physical banknotes. In other words, it might be easier to run on the banking system. This could have adverse implications for financial stability." However, Sojli isn't convinced it is a problem. "My point of view is there should be no concern. One dollar is one dollar, whether it sits in your bank account, on your VISA card, as cash in your hand, or as digital cash. This currency in any format will afford you the same purchasing power," she says. 'If demand is higher for the digital cash, the central bank can [or] should issue more, and in return retire physical cash or reduce fiat currency sitting with banks."